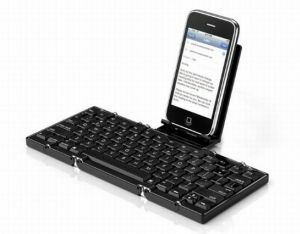 This pocket size keyboard for developed by Cervantes Mobile for the users of the iPhone and a number of other smartphones. Dubbed the Jorno Bluetooth, this keyboard can be easily folded and unfolded to transform your handset into a fully functional computer. When folded, the device becomes rather compact and can be easily carried in a pocket or bag. The Jorno features detachable cradle to hold a handheld device in either portrait or landscape orientation. Expected to be available in 2011, the keyboard will cost $ 99, but if preordered you will pay $ 79. There’s no software to install and everything you’ll need is included in the package, even the car charger. Echo and noise cancellation help keep the calls clear — even better than on my cell phone. My only quibble is that it’s clunky; even though it comes with a visor clip, it kept sliding off, so now I have it balanced in the cupholder. Sells for $129 at Spracht, and is also available at Amazon. .
Top 5 of the funniest presents. I’d like to present you this top 5 of the gadgets that can become wonderful gifts for any holiday. If you have nice sense of humor and you prefer unusual and interesting things, the following article is right for you. With the help of these gadgets you can surprise and play jokes on your friends and family. If you don’t want to look like a mad person talking to yourself in the street, you may choose this gadget. The point is that all these little Bluetooth headsets for mobile phones look almost invisible. Actually, they are rather handy. 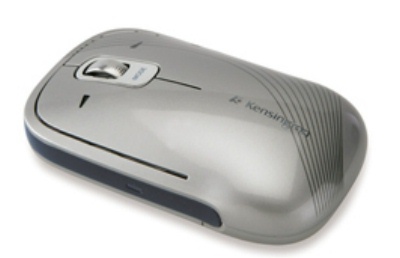 But Bluetooth Mini Phone is another solution in order to talk on your mobile phone via wireless technology. The Bluetooth Mini Phone can be conveniently carried around your neck with the supplied lanyard. It might be handier for you. 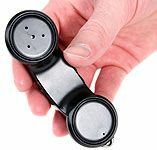 The wireless mini phone has nice features that you will like. To cut a long story short, I guess it can be a nice gift for your boss, for example. He will appreciate your care about him. 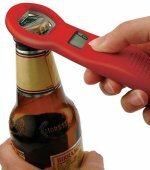 If it is hard for you or for your friend to control the number of bottles of beer you have drunk, play a joke on him and have fun – present him Beer Tracker-Counting Bottle Opener. The built-in mini computer records every opened bottle and displays the number. So, with its help, you’ll be able to control the quantity of opened bottles and stop when it’s necessary. Then, it is rather handy to control your children-teenagers. By the end of their party you will know how much they have drunk. 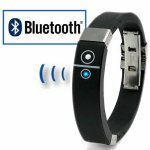 If your working place is very noisy, if you like going to discos and bars, if you like big gatherings, you will definitely need BluAlert Vibrating Bluetooth Wristband. With its help you neither miss a call, nor lose your mobile phone. The idea of the gadget is simple, but it might become your first helper. If you present someone such gift, this person won’t miss your calls anymore. It is perfect for boyfriends and girlfriends, little children and women (they have so much stuff in their bags, that it’s hard to find their mobile phones there). The best gift for a programmer is a part of computer (notice: not his personal computer or laptop!). Make fun of your programmer and present him cuff links, made out of computer keys. Tell him you have taken a few keys from his keyboard. If he doesn’t faint away, he will like this extravagant and unusual gift. The present that takes the first place today is really great. But it also might be called a little cruel. Present the 2 Carat Cup to your girlfriend. When she opens the box she will see.. a ring with Swarovsky crystal! 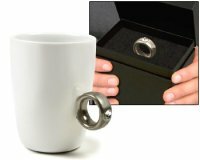 She will be very happy and glad until she understands that it is just the handle of an elegant cup. It is hidden inside the box; so when you open it the only thing you see is the ring. I hope she will laugh with you and won’t be too disappointed. The present is beautifully packed and looks impressive. Comments Off on Top 5 of the funniest presents. You are currently browsing the archives for the bluetooth category.